When you own your own business and have commercial property, it’s important to understand everything you can about commercial property insurance. Commercial insurance is a key component to reducing your risk as a business owner and ensuring financial protection for your employees, your customers, and your livelihood. In this article we will discuss five important things to know when you are looking for commercial property insurance. 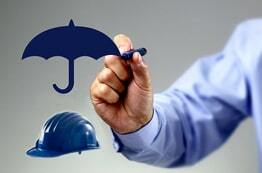 What does a commercial property insurance policy cover? Is theft covered under commercial property insurance? How much does it cost to insure a commercial building? No matter what size your business is or the nature of the business, accidents and losses happen. I have had clients who have reported losses because of fires, thefts, storm damage, flooding, traumatic events, and even power outages. Because we can’t predict when or if these things will ever happen on our property, it is important to always have the right protection with a complete commercial insurance policy. Today’s discussion will help you make some of those critical decisions about your commercial property. First, it’s good to have an overview of all the different types of commercial insurance that are available to protect you and your business. There are many different types of commercial insurance because there are many types of risk when you own a business. Occasionally you will see them differentiated by different names, but their basic purposes are the same. Commercial property policies protect business properties and their contents against loss, like fire, theft, or other physical destruction. These policies may also cover loss of income or an increase in business expenses that result from any of the resulting property damage. General commercial liability insurance provides coverage to any company or business for bodily injury, personal injury and property damage that might be caused by the business’ operations or products, as well as any injuries that might occur on the business’ premises. 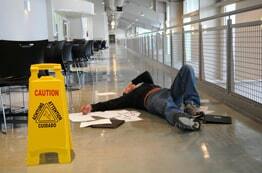 A general liability claim is only triggered by either property damage (PD) or bodily injury (BI). Professional liability differs from general liability in that it covers you from damages caused by errors in job performance. If damage occurs as a result of the way you did your job or neglected to do your job, this is not covered by general liability but by a professional liability policy instead. Essentially, professional liability coverage protects against damage from errors or omission in performing your professional services or doing your trade. Commercial auto insurance covers the vehicles used in the performance of a job or any business-related automobile travel or transport. 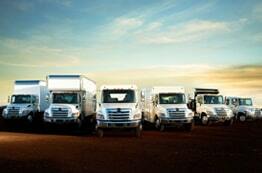 It also covers property damage and bodily injury caused to others involved in a commercial vehicle accident. Just like a personal umbrella policy, commercial umbrella policies increase liability limits for a business and offer more risk protection. Employment practice liability protects a business owner from any wrongful acts that occur during the employment process or claims of misconduct or inappropriate employment practice. These policies cover businesses from liability any time workers claim their legal rights have been violated by the company. The most common kinds of claims include: wrongful termination, sexual harassment, discrimination of any kind, and retaliation. Additionally, these policies also cover claims of defamation, failure to promote, deprivation of career opportunities, wrongful discipline, invasion of privacy, negligent evaluation, emotional distress, and mismanagement of employee benefit plans. Workers’ compensation insurance, also referred to as “workers’ comp,” is insurance carried by a business or company that covers the medical expenses and sometimes also a portion of lost wages, for employees that are hurt while at work. Coverage also includes rehabilitation provisions and a death benefit when necessary. Keep in mind that while almost every state has laws requiring businesses to carry workers’ comp insurance, the requirements and exemptions can vary from state to state and sometimes even depend on the exact type of business you have. This type of insurance is designed to cover both liability and property losses that may occur because a company is involved in online and electronic activities and collects the sensitive personal and financial data of its customers. This type of insurance is designed to cover both liability and property losses that may occur because a company is involved in online and electronic activities and collects the sensitive personal and financial data of its customers. electronic activities and collects the sensitive personal and financial data of its customers. Business interruption insurance (also known as business income insurance) is a type of insurance that covers any loss of income that a company suffers after a loss or disaster. The income loss can be because of disaster-related closing or the rebuilding process afterwards. This insurance covers any profits that were lost because the business was closed. What is commercial property and casualty insurance? 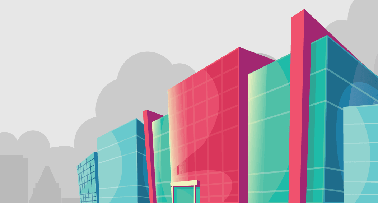 Now that we have given you an overview of all the different types of commercial insurance, let’s explore commercial property insurance in more detail. At face value, commercial property insurance (also known as commercial property and casualty insurance) seems relatively straightforward. If your business suffers a loss or damage from a fire, a theft, a storm, a plumbing disaster, or other physical destruction, a commercial property policy will protect your property and its contents. Many times, these policies also cover an loss of income or higher business expenses that occur because of the damage. Last summer we had a huge monsoon storm that cause a power loss at my offices. I have some large fish tanks full of tropical fish at the office. The power outage not only took out the air conditioning in the office, it also caused the cooler in the tank to stop and the water to get too hot for the fish. If I had filed a claim, my commercial property policy would have covered the loss of the fish due to the damage caused by the storm. If something happened to the tank itself and it leaked, flooding the office and causing water damage, this would also be covered by my commercial property policy. In our discussion of what commercial property insurance is, we have already started to talk about what a policy covers. Commercial property policies cover your building and all of its contents, as well as any exterior fixtures associated with your business, such as a fence or outdoor sign. This means it covers your computers, furniture and other equipment, important documents and records, any inventory stored on the property, as well as other’s property. The protection of your physical property and its contents extends to damages cause by fire, burst pipes, storms, vandalism, explosions, and theft. Just like with homeowner’s insurance, commercial property insurance usually doesn’t cover earthquakes and floods unless those perils are specifically added and listed on the policy. Additional coverage for these contingencies can be obtained depending on where you live and the risks in your area of the country. As we already indicated, theft is covered under commercial property insurance. The contents of your business are included in the policy. But, there is an important exception to this coverage that every business owner needs to understand. Your business contents are covered under your commercial property policy as long as they are on your property at the time of theft. However, once you take any equipment or business contents off your business property—specifically farther than 100 feet from the location listed on the policy—the items are no longer insured. Once your business property leaves the premises of the property it no longer exists as “business personal property” but becomes redefined as “inland marine,” and must be covered under a separate inland marine policy. In order to cover your business contents off the premises of your business you need to make sure that “inland marine” is a part of your commercial property insurance policy. I know this seems like a strange name and if your business has nothing to do with the water, it can seem out of place in our discussion. But “inland marine” is the insurance term given to any business contents that have been removed from the physical business property itself. Inland marine insurance was originally created to protect products as they were shipped overseas. But, today, these insurance policies cover any goods or contents that are considered “in transit” over water or land, and even, in some cases, those that aren’t in actual transit at all. This coverage includes anything that needs to move from one site to the other, or from your business to your home or to offsite meetings—such as laptops or tablets, cameras, lenses and video equipment, tools and machines, rare art or furnishings, or anything else that your business transports. If you have teams or crews that take computers, tools, equipment, or merchandise with them to other job sites, these would all fall under the category of “inland marine.” They are only covered for theft or damage if you have an inland marine policy or clause in your property policy. Remember that once the business contents are “in transit,” or off your property, they are automatically redefined and can no longer be covered as business personal property. Sometimes insurance companies will set up a “give back” feature where they exclude something and then offer a portion of minimum coverage instead. It’s not unheard of for some insurance companies, for instance, to exclude inland marine coverage on a standard commercial property policy but then give you up to $10,000 of business personal property coverage anyway. This is mostly done to try to prevent lawsuits from happening and cover businesses in the case of a minor loss. But for the most part, as soon as you take your equipment or property contents off the business property, it is technically “inland marine” and requires its own policy. As an example, let me tell you the story of my landscaper. Before my landscaper was insured with me, he had all of his commercial business property insured through another agency. 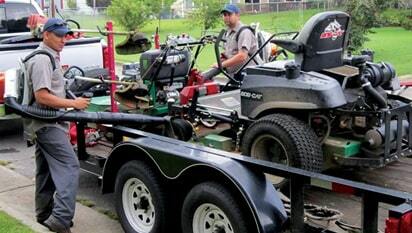 He had a trailer that was loaded with expensive yard equipment—literally thousands of dollars of weed eaters, blowers, chainsaws, lawnmowers, tools—that was stolen. Unfortunately, the person who wrote his original commercial property policy did not think about the nature of his business. The theft was not covered under his commercial property policy because at the time it was stolen, the equipment was more than 100 feet away from his place of business and he didn’t have inland marine coverage. Even though, as a landscaper, his business is everywhere, and he is always taking his equipment everywhere, the policy was written based upon the business address. In all practicality, his “office” is all over town. He works in neighborhoods, and parks, and business complexes in every area of the Phoenix valley. It’s fair to say that his equipment is rarely, if ever, at his actual physical business address. But the commercial property policy doesn’t recognize by itself the mobile nature of his business. It insures only that one place. The failure was in the previous agent who didn’t ask the right questions or understand what the landscaper really needed his commercial property insurance to do for him. When you go to acquire your commercial property insurance make sure you choose an agent who will ask good questions, understand your situation, and get you the right coverage for all the activities of your business. 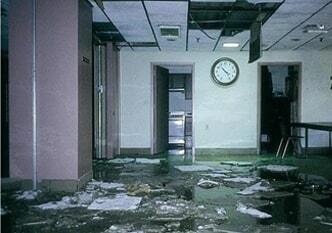 Remember, commercial property insurance covers only specific premises. If you take something away, even for work purposes, it’s out of its “normal use” and no longer covered. In one other case, I have a client who has a business doing interior design. She always has lots of materials, furnishings, and art pieces that she uses to stage, decorate, and stock the spaces that she is designing. She buys the items and owns them until the jobs are complete, and then the design work and furnishings are sold to her clients. A few years ago, before she came to me for commercial insurance, she moved a $20,000 painting away from her business premises to use on one of her jobs. Somehow the painting got destroyed before the job was complete. Her insurance company wouldn’t cover it because it was “in transit” and no longer defined as “business personal property” and she was stuck with the loss. In this area of insurance, and in so many others, it can make a huge difference to have the right coverage when you need it. You are depending on your business to provide for you, your employees and your customers. It’s important that you understand all the definitions, coverages, and limits of a commercial property policy. 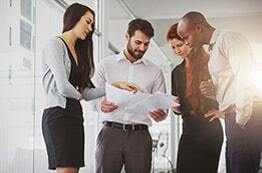 This knowledge comes through educating yourself and it should also come through the thorough work, assessment, and attention to detail of a good insurance broker. By understanding the strict definition of “business personal property” my two new clients might have had a better chance of having adequate coverage at the time of their losses. But what is even more apparent, is that if the right questions were asked by their insurance companies at the time they bought their policies, both of my clients would have been safeguarded from theft and the damage they suffered. Because their agents did not pay attention to the nature of their work and their true property insurance needs, even thought they had policies, it was like having no insurance at all. How much time do you spend offsite? What equipment do you use away from your business premises? 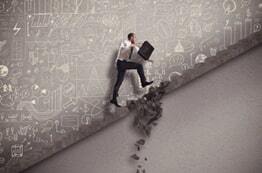 What do you see as the biggest risks to your business property? Are those risks concentrated onsite or off? For many companies, especially today, the bulk of their business and work isn’t done in an actual office, but they still use and require specialized, expensive equipment. 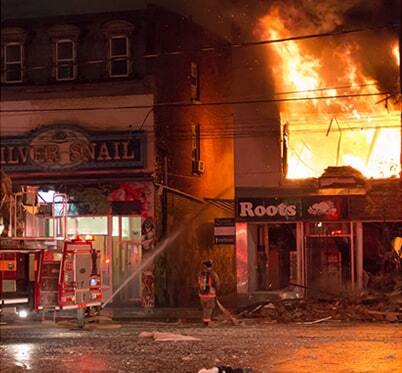 In these cases, traditional commercial property insurance will be of little or no use to them. What good is having coverage if it doesn’t ever apply to your circumstances? Remember, as always, insurance is there to minimize your risks. Make sure that your commercial policy correctly takes into account your actual risks and covers them specifically so that you can minimize any potential losses. 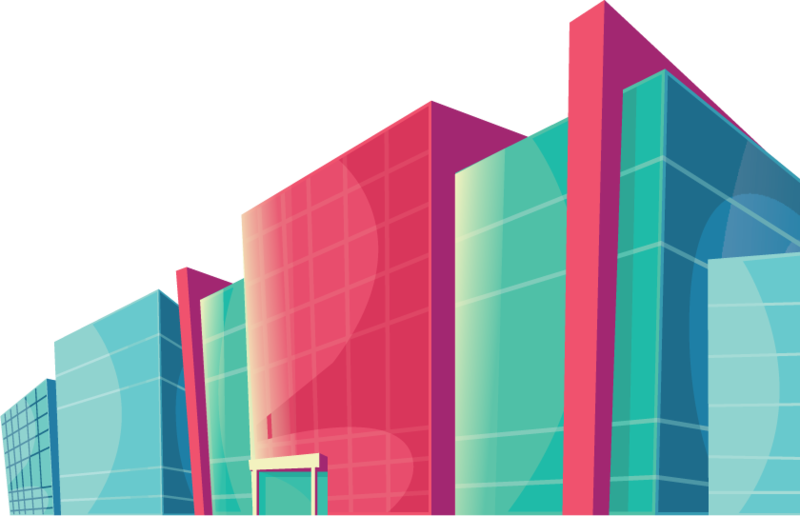 How much it costs to insure a commercial building depends upon a number of factors, including the value of your building and all your business assets. The condition of the building and materials used in construction can make a difference in your premium. 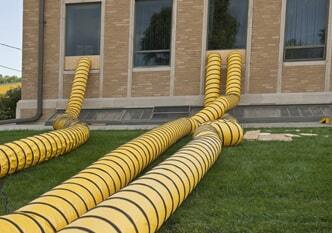 How old the plumbing, electrical and HVAC systems are can affect it as well. If fire-retardant materials were used in construction, it can lower your rates. This refers to the type of business you are conducting and the risk involved. The industry that you work in can affect your rates. The amount of traffic you receive—including the amount of customers and employees—also makes a difference. What kind of neighborhood surrounds your business? Rates are higher when risk is higher. This takes into account the preventative measures that are in place in your business, such as security systems, fire alarms, sprinkler systems, etc. Your actual premium rates will be higher or lower according to these factors. Obviously the size of your business also makes a huge difference. A small business owner, for example, may pay only $500 a year while major corporations can pay above $500,000. To give you a ballpark, average business pays between $1000-$3000 a year for every million dollars of coverage, but most pay even less than that. The average premium for a business is $742 for a million dollars in coverage. Your agent or broker can help you find the exact policy you need at a very reasonable rate, especially given the risks involved. In this article, we have presented a thorough discussion of the ins and outs of commercial property insurance, so that you can be educated and informed about your options and the risks every business needs to be covered for. So much of your life depends upon your business and protecting your commercial property and its contents needs to be a high priority. Make sure that you seek out a qualified, experienced agent who fully understands your business so you can have the right coverage whenever you experience a loss or damage. 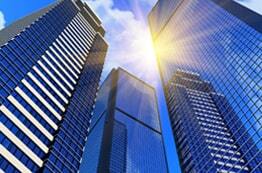 At Insurance Professionals of Arizona, we are experts at commercial property insurance. We can find the gaps in your current commercial insurance coverage and find a policy that meets the needs of your specific company. We work with over forty different insurance carriers and so we have lots of ways to get you exactly what you need at a reasonable premium. Contact us today and ensure that your business and your livelihood is fully protected. We care about you and your business and we know exactly what to do to safeguard it.